Do you have students who are keen to enter the LitM Competition “Let Me Tell You a Story, Let Me Tell You in My Language” but are unsure of how to guide them to produce an eBook or digital film? Come along to our workshops to learn the skills and understandings required. The E-book workshop provides a practical opportunity for language teachers to experiment with a range of apps to build confidence and explore some ways they can assist students create multimodal and bilingual texts. Participants are encouraged to bring their own devices (with access to an app store account). iPads and Win8 devices will also be available for use. Jan Clarke has been with AISWA since 2008. 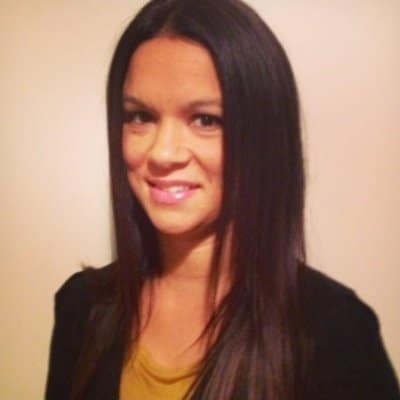 She has teaching experience in both primary and secondary education. She has now actively incorporated ICT in her teaching for over 25 years and has a strong belief in its potential for enhancing and extending student engagement and learning. 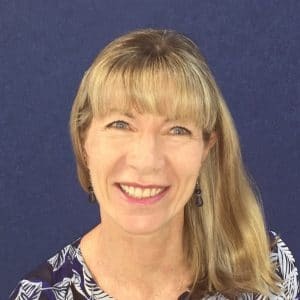 Jan has collaborated with other AISWA consultants, ECU and UWA on research projects, and represented AISWA with papers and workshops at conferences in Australia and overseas. She has developed and shared many ICT-related teaching and learning resources. The Film workshop will assist teachers in preparing students for the creation of an audiovisual production. Focus will be on narrative in short film form and how to incorporate voice-over. Tips and strategies on how to guide students through production processes such as filming and editing will be provided. This workshop is suited to teachers who are new to narrative construction in film. Celena Mecham is currently the Curriculum Leader for Creative Arts at Scotch College. She is Media and Film teacher with 20 years of experience in the secondary classroom. Celena believes that film is an effective medium for helping students make sense of the world around them. Places are limited, so register early to secure your place. Registrations will close on 28th March 2017 and no cancellations will be accepted after this date. No refunds will be provided for non-attendance. Please follow the link to the workshop registration Terms and Conditions. 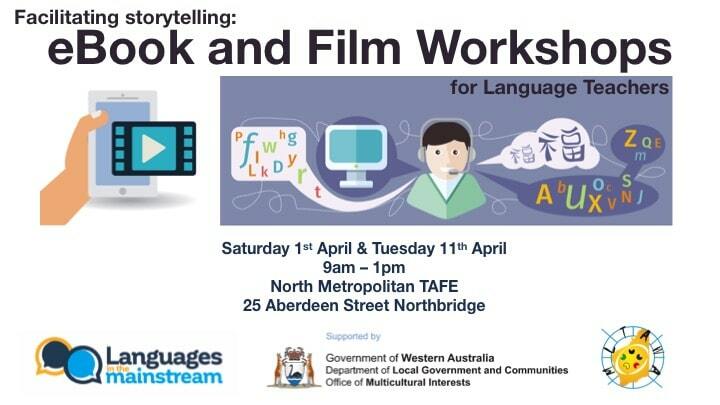 Unfortunately these workshops are designed for teachers/adults who in turn will facilitate storytelling with young learners through eBooks and film in lessons at mainstream or community language schools. We have another workshop on 11 April. Hope you can make that one.